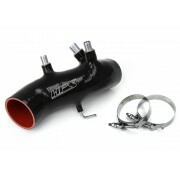 Toyota 86-92 Supra 7MGTE Turbo HPS Black Silicone Turbo Inlet Air Intake Hose replaces the stock OEM.. Built for performance and show, the HPS Wrinkle Black shortram air intake with heat shield for 2001-..
HPS BLACK SHORTRAM AIR INTAKE + HEAT SHIELD FOR 06-08 VOLKSWAGEN EOS 2.0T TURBO FSI MK5 AUTO TRANS. Built for performance and show, the HPS Wrinkle Black shortram air intake with heat shield for 2006-..
HPS BLACK SHORTRAM AIR INTAKE + HEAT SHIELD FOR 06-08 VOLKSWAGEN EOS 2.0T TURBO FSI MK5 MANUAL TRANS. HPS Black air intake kit for 2006-2013 Lexus IS250 2.5L V6 offers a free-flowing 3" mandrel-bent alu..
HPS Black air intake kit for 2006-2013 Lexus IS350 3.5L V6 offers a free-flowing 3" mandrel-bent alu.. Built for performance and show, the HPS Wrinkle Black shortram air intake with heat shield for 2007-.. Built for performance and show, the HPS Wrinkle Black shortram air intake with heat shield for 2009-.. Built for performance and show, the HPS Wrinkle Black shortram air intake with heat shield for 2012-..
HPS black performance air intake with heat shield [part number 27-623WB-2] for 2014-2017 Lexus IS250..
HPS black performance air intake with heat shield [part number 27-623WB-1] for 2014-2017 Lexus IS350..